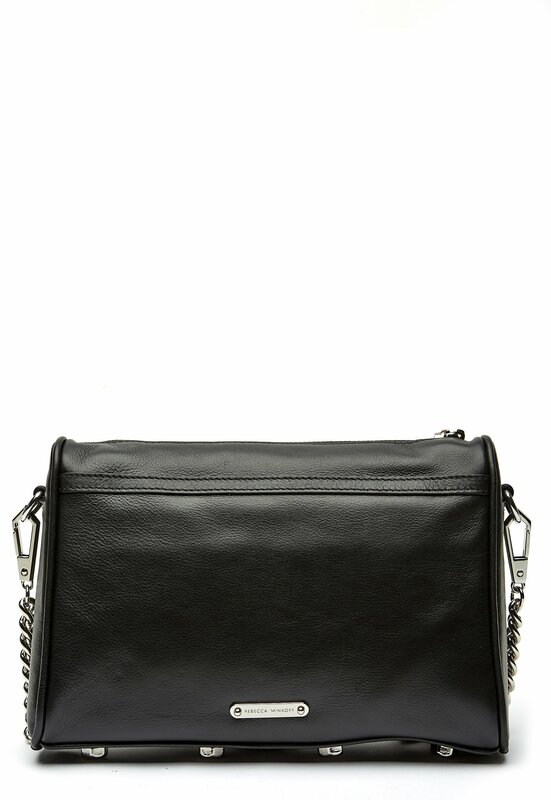 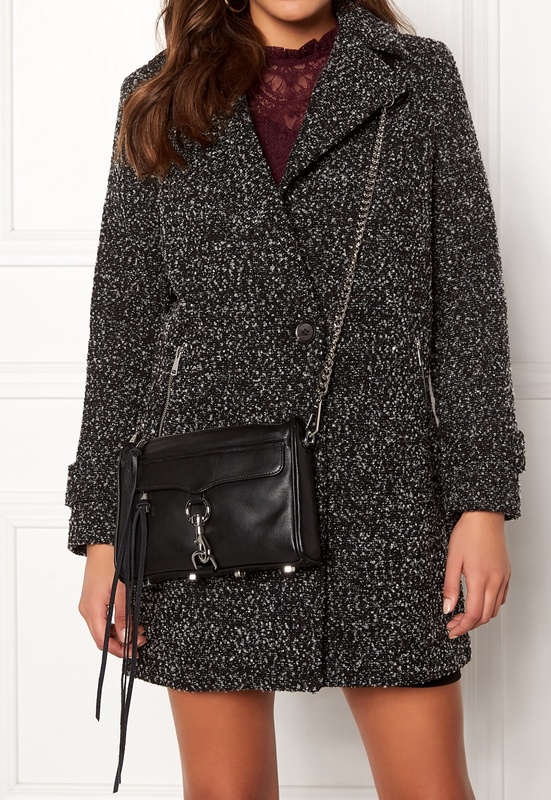 Beautiful shoulder bag in genuine leather from REBECCA MINKOFF. The bag has decorative silver details and a shoulder strap that is made from leather and chain. 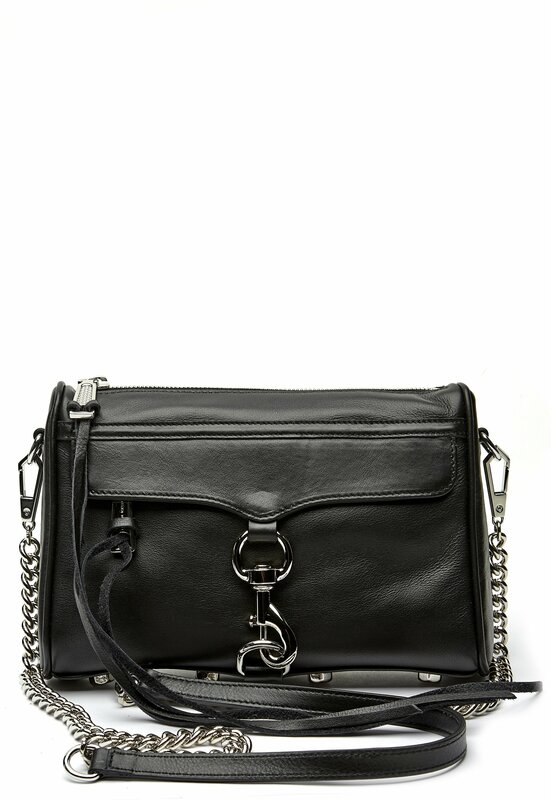 - Removable shoulder chain - A larger pocket, as well as a smaller inner pocket with a zip - A pocket at the front that closes using a zip - Studs on the bottom - Metallic logo at the back of the bag - Dustbag included Length 23 cm, width 5 cm, height 16 cm. 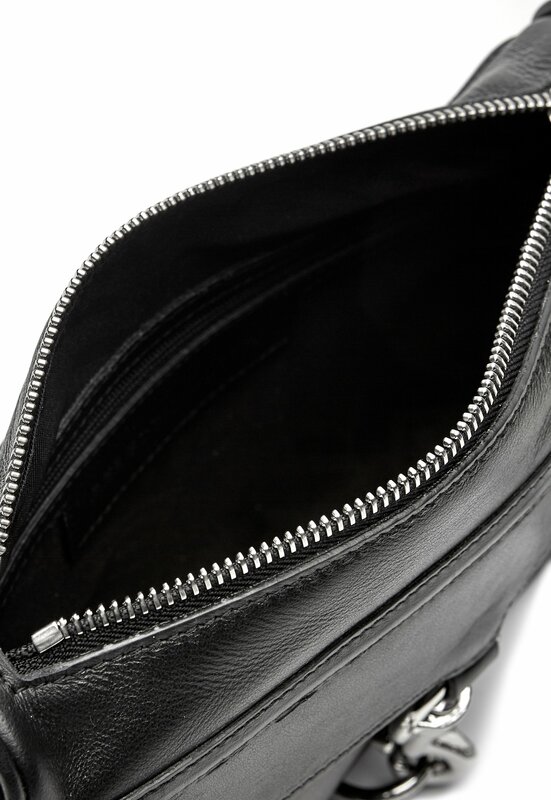 For returns to be accepted, the bag must be undamaged and returned with the original dustbag.